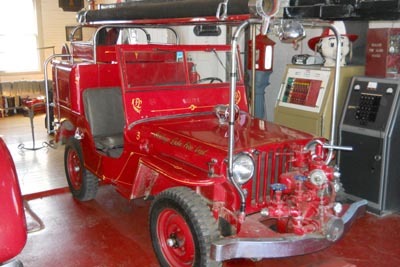 Boyer Fire Apparatus in Logansport, Indiana built over 100 "factory" fire Jeeps for Willys, the majority of which were CJ-2As. 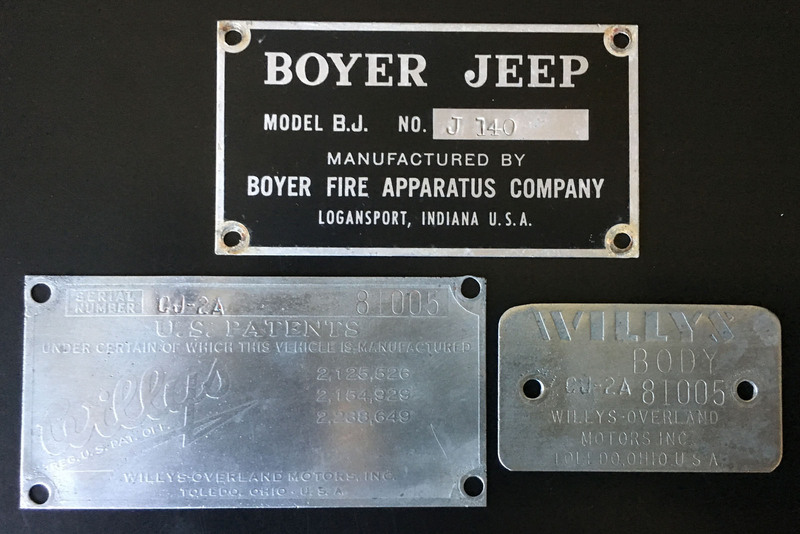 The Boyer Production List indicates that some of the company's production was sold overseas by Willys-Overland Export, and we know that some of them went to Brazil, and that W-O Export advertised them in Europe (see CJ-2A Fire Engine History. 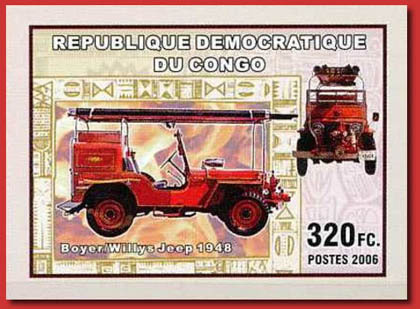 These two postage stamps from Benin and Congo indicate they also found their way to Africa, and in fact there is a photo in Jeeps in the Congo on CJ3B.info showing a Boyer Jeep in service in that country. 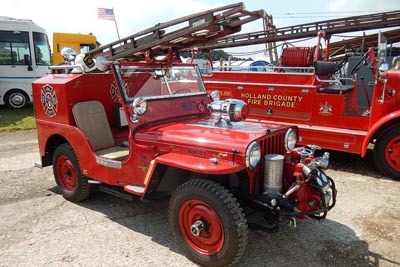 What isn't clear is exactly how Boyer connected with Willys-Overland and briefly became one of their go-to contractors for building fire engines. 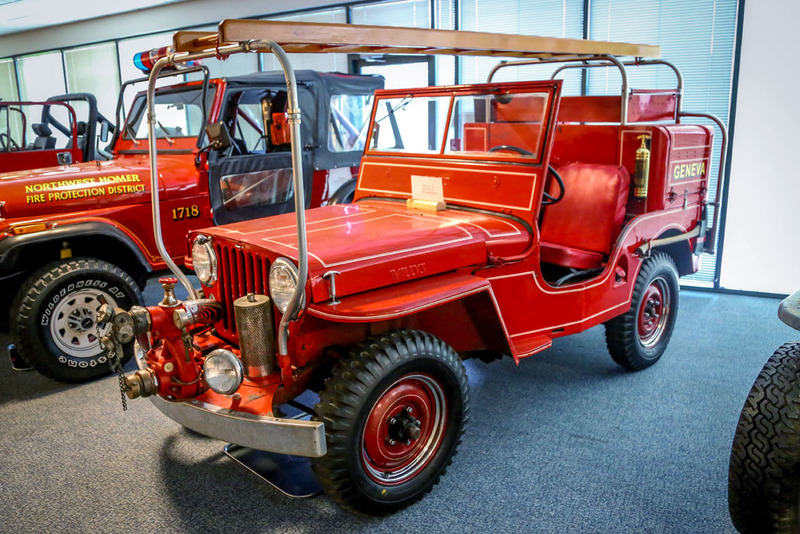 After an early 1950s corporate restructuring, Boyer was taken over by Universal Fire Apparatus, and apparently stopped building Jeeps, with the exception of four FCs in 1958-61. Universal-Boyer ceased operations in 1988. 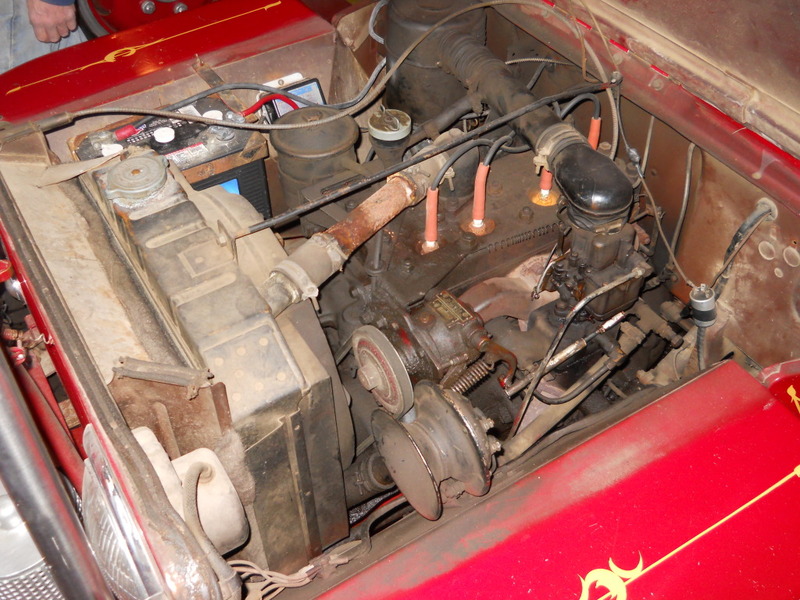 This page is a collection of photos of surviving Boyer CJ-2As which have been restored in various ways. 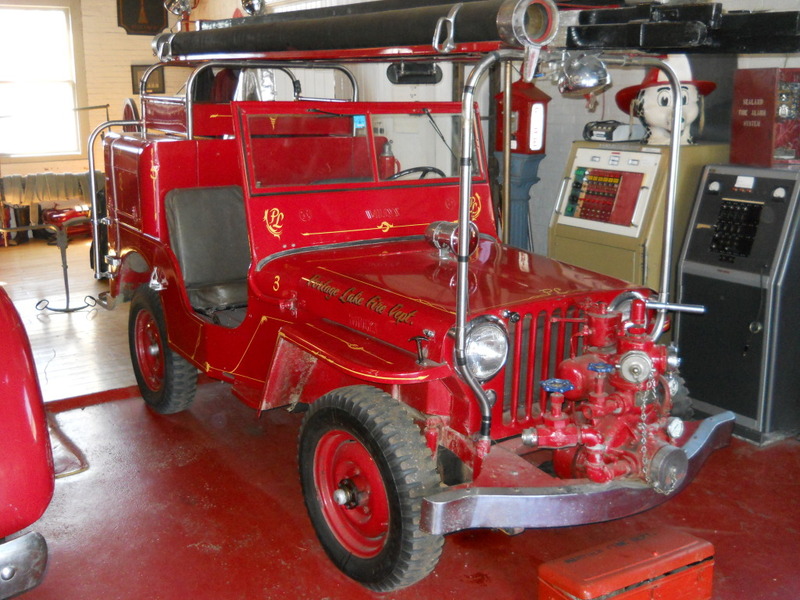 See also Boyer CJ-3A Jeep Fire Engines. 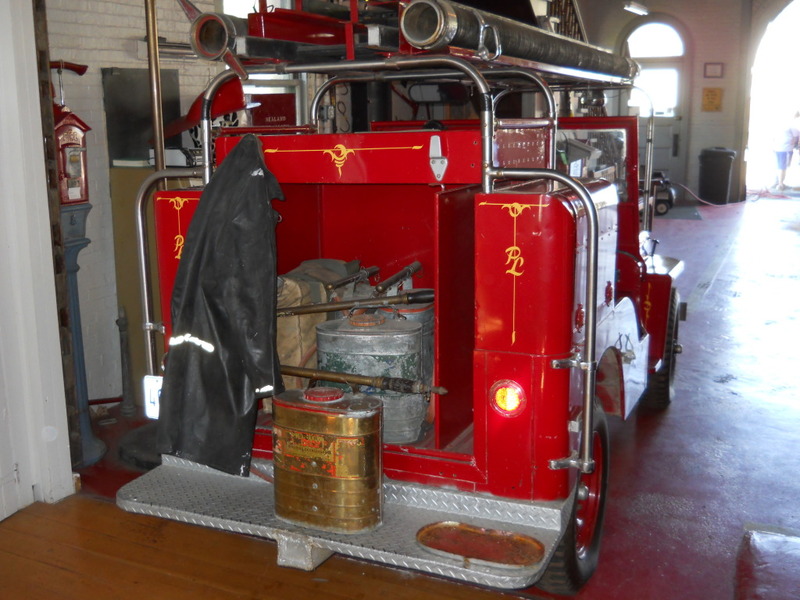 This nicely preserved Boyer Model BJ from 1947 is now on display at Hose 5 Fire Museum in Bangor, Maine. 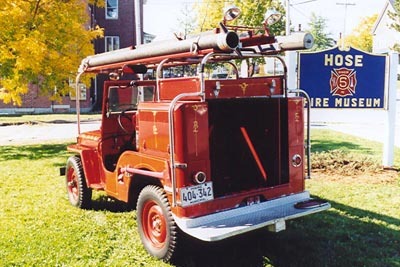 Formerly in service as Portage Lakes Fire Dept. No. 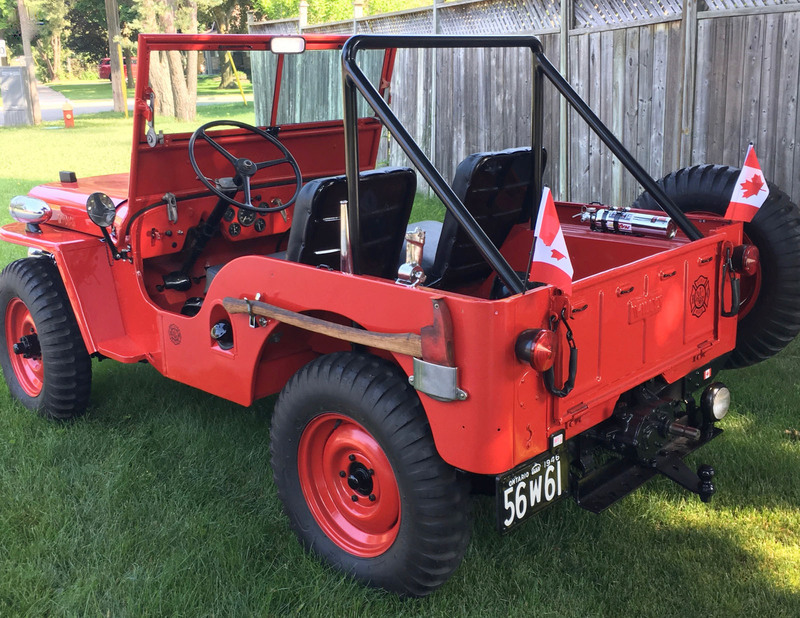 3, the CJ-2A has a beautiful custom paint job featuring a "PL" logo on the rear panels. The Jeep is in working condition and fully equipped (220K JPEG). It's a real traffic-stopper when it's parked outside the Hose 5 Museum, housed in a former fire station built in 1897 on State Street in Bangor. 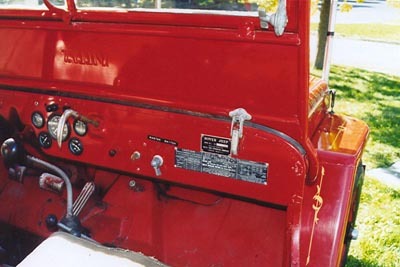 The small Boyer Jeep plate (220K JPEG) on the dash carries serial number J188. The front-mount crankshaft-driven Barton pump (290K JPEG) is C49532. 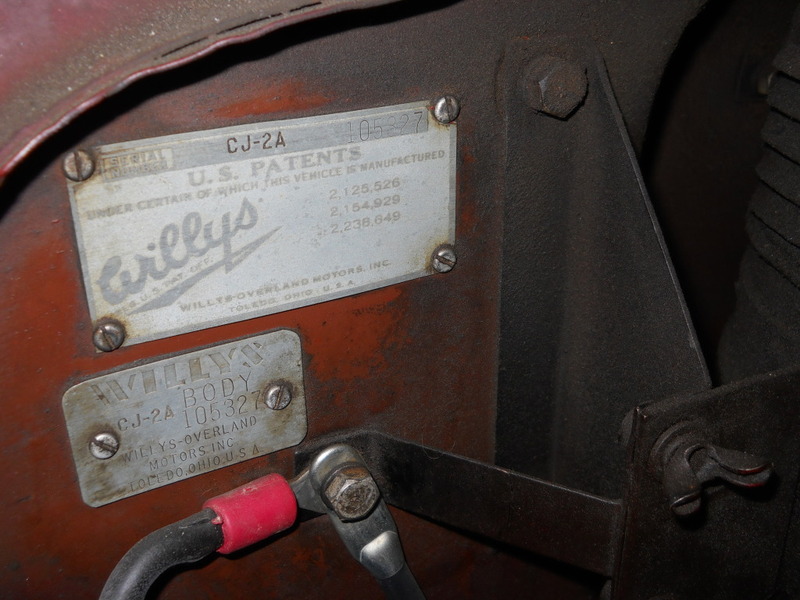 The Willys serial number (220K JPEG) is 105327. 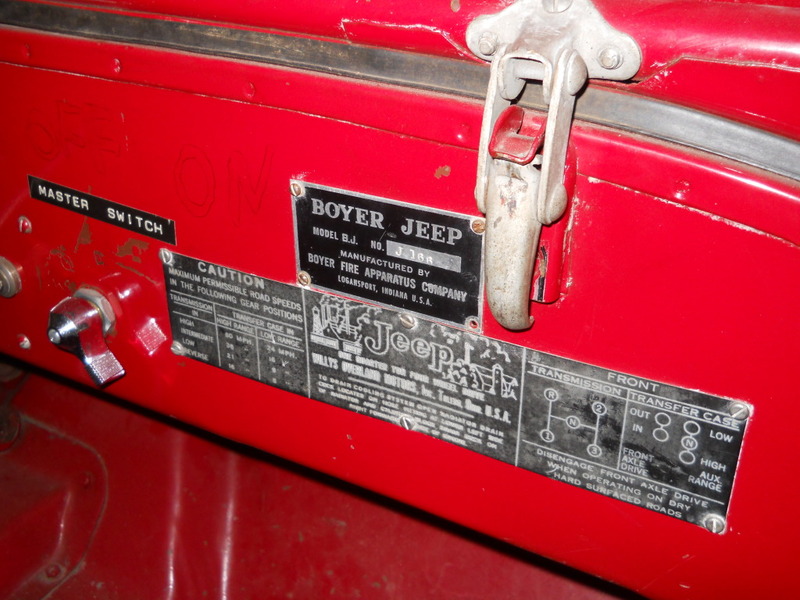 According to the Boyer Production List J188 was sold by Boyer through Maine Willys Sales Co. in Camden ME. 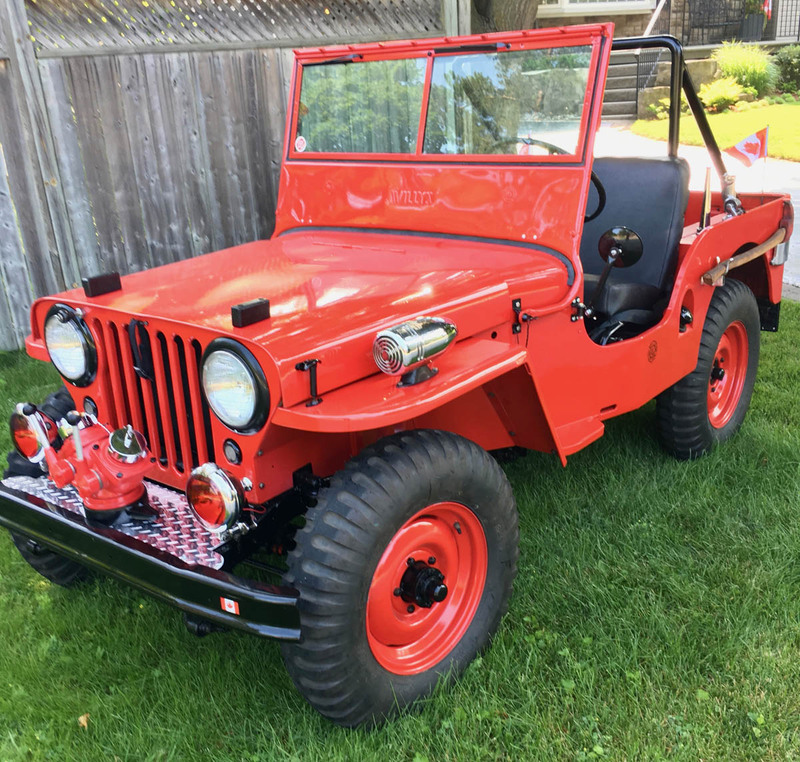 As listed in the Boyer Production List, Boyer J-180 is a 1947 Jeep sold through Parkhurst Motors in Syracuse NY. 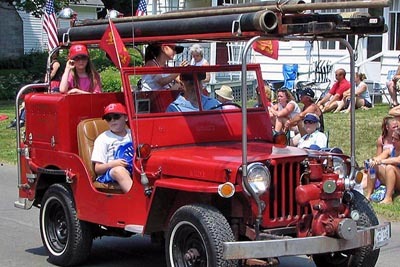 It's seen here in a parade in upstate New York in 2005. Photo courtesy John F. Kenealy. 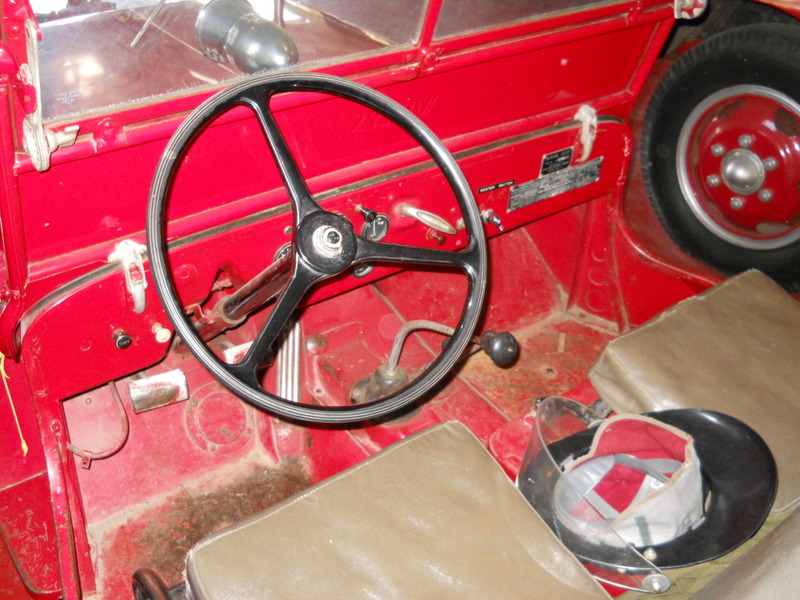 Boyer J132 was originally sold in 1947 through Roy Fisher Motor Co. in Oklahoma City, to the nearby small town of Luther, OK. In 2005 it sold in an eBay online auction for $12,500. 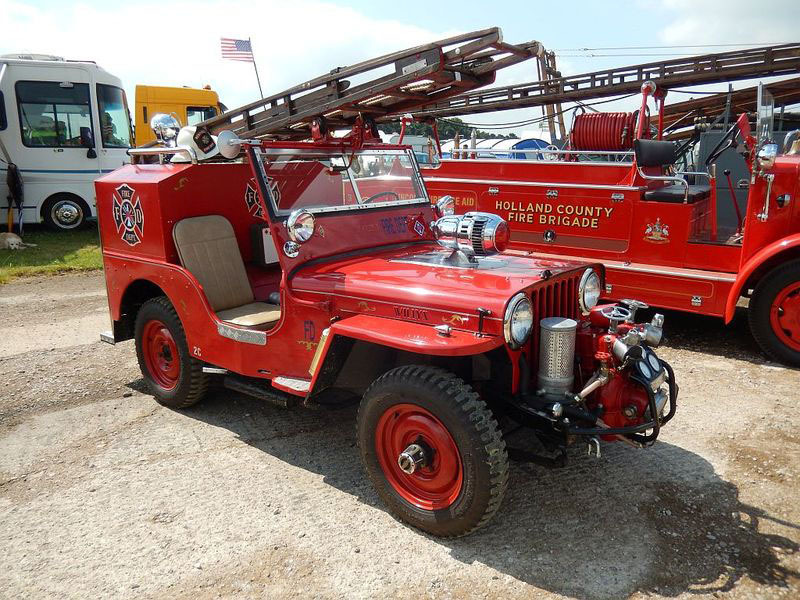 The Willys serial number is 73757; like J188 above, the Jeep is a 1946 CJ-2A. 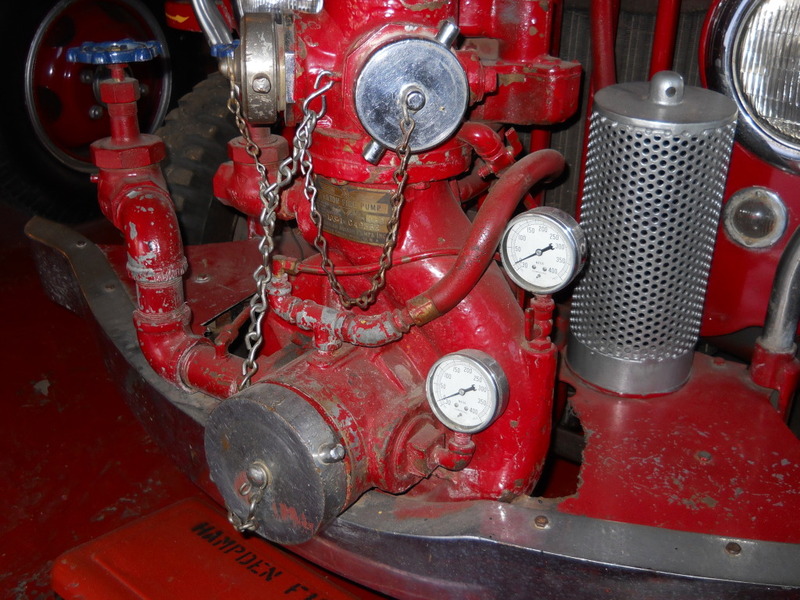 The engine is original and has been rebuilt, and the Barton U-40 pump is also apparently in good shape. 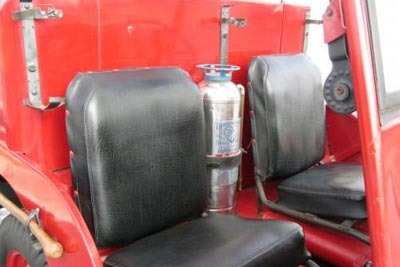 The paint and interior are very clean, and said to be original, but some pieces of equipment such as the ladder and the carbon tet extinguishers are missing. 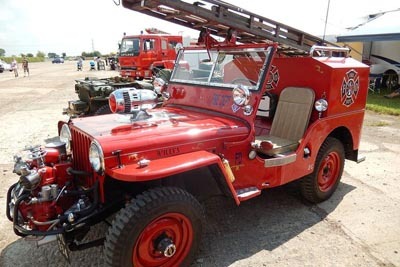 The Jeep was a pretty bare-bones version to start with; apparently Luther (population 612 in 2000) didn't think they needed a siren or fancy paint. The missing ladder allows a good look at the overhead rack. 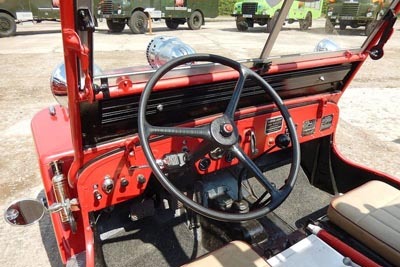 The shallow channel for the suction hose is often a quick way of identifying a Boyer; the Howe Jeeps typically have a deeper channel. 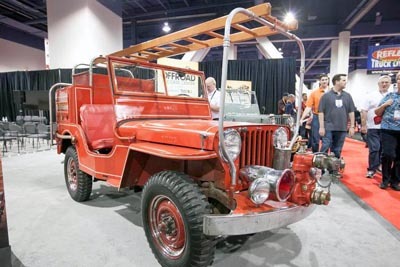 This 1947 Boyer CJ-2A previously belonged to the late Mark A. Smith, founder of the Jeep Jamboree. 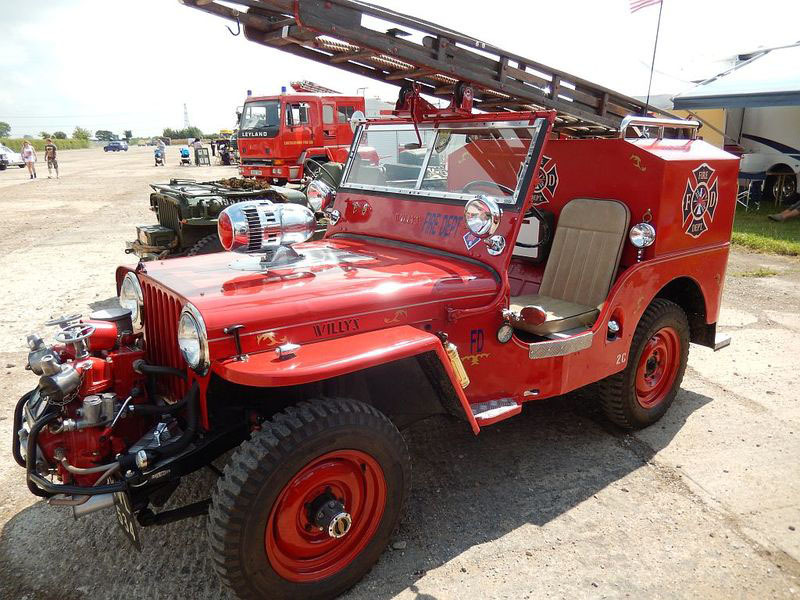 It's now part of the Omix-ADA Jeep Collection assembled by Al Azadi, founder of Omix-ADA Jeep Parts. The Boyer serial number is J186, and I have now included it on the Boyer Production List. 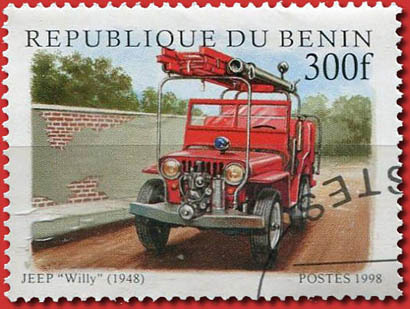 The Willys serial number is 114429. 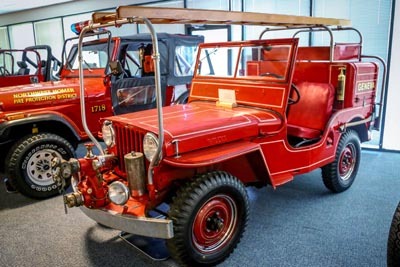 In the background is the Northwest Homer CJ-7, also part of the Omix-ADA Collection. 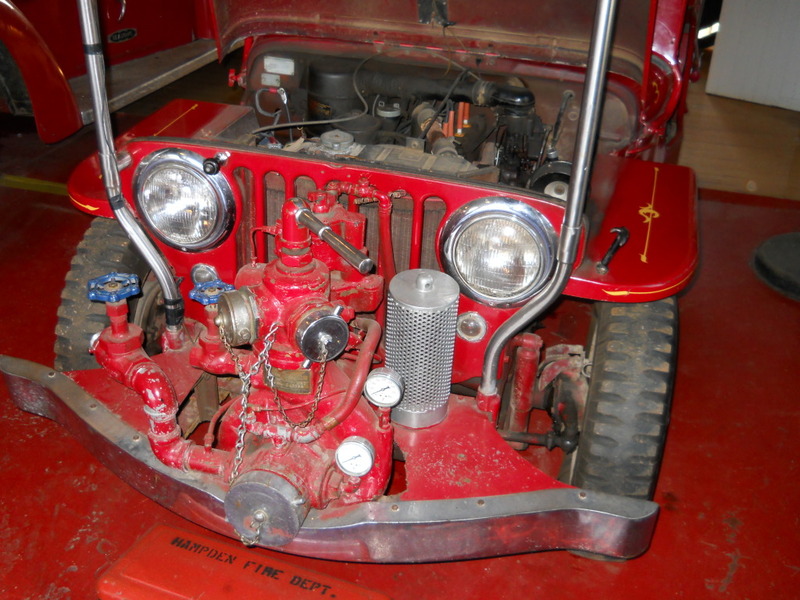 An unusual detail on the Jeep is the location of the siren and extra set of driving lights, on the front bumper. 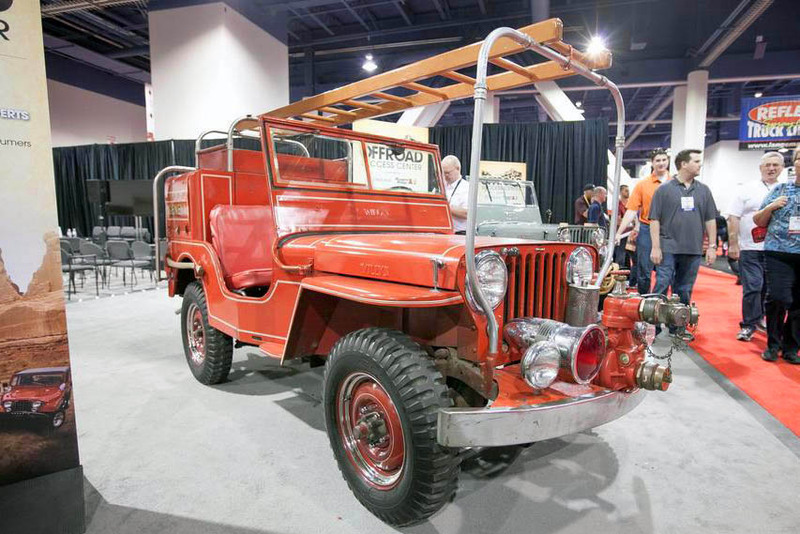 They are visible in this photo taken at the SEMA 2012 show in Las Vegas by Michael Simari, courtesy Car and Driver . 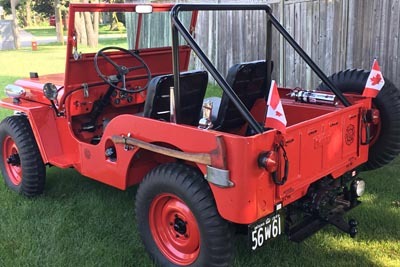 Ron Foss in Ontario has restored this 1946 CJ-2A with Boyer Apparatus tag J140 (230K JPEG), sold in 1947 by Willys Export to the New Brunswick Department of Natural Resources. 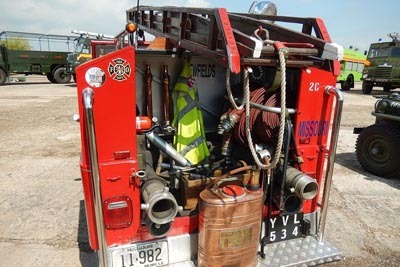 Ron wrote in 2018, "While I have most of the Boyer equipment, it is missing the all-important and likely hard to find pump. 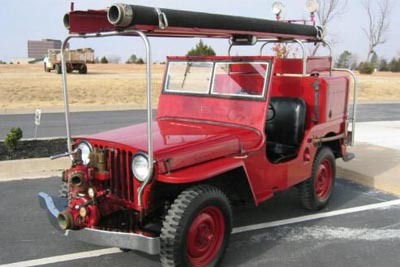 I have restored it with a fire department theme, but without the pump felt it was not necessary to complete it as fully original." Fire axe, which is actually a prop from Hollywood -- I didn't want to carry a real axe for safety reasons. Metal diamond plate on the front bumper (300K JPEG). Vintage Akron Gate Valve on the bumper to pay tribute to the pump that should be in that location. 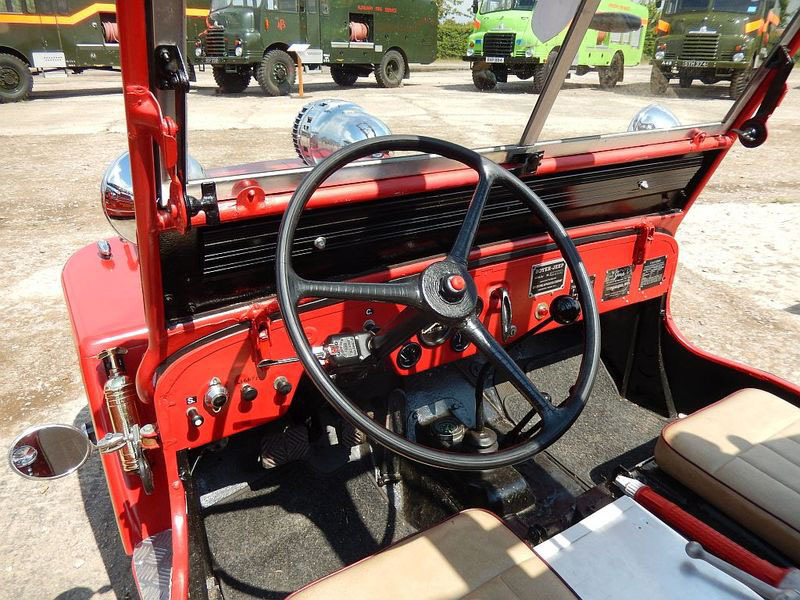 Rear PTO -- not necessarily typical to the Boyer, but certainly to a civilian CJ-2A. 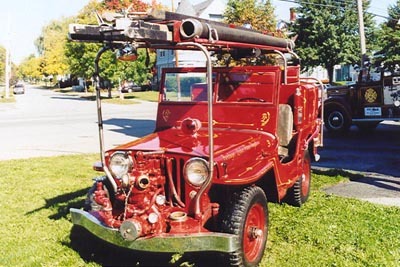 I don't have the Boyer serial number for this one, or the story of how it got to the United Kingdom, where David Metson photographed it at a fire apparatus show. 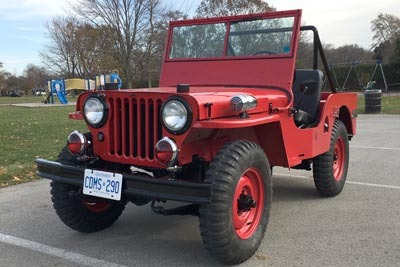 The story looks like it's an interesting one, because the Jeep seems to have been in the UK long enough to have been modified and put into service there, but is also wearing a Missouri antique vehicle plate. 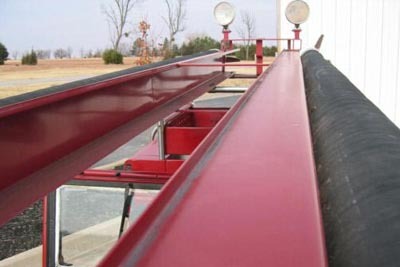 The overhead rack has been removed, and replaced with a ladder mounted in the British style, on an angle with rollers for quick removal. It's not clear whether the very large siren was mounted on the hood in Missouri or the UK. The only reason it's clear this is a Boyer Jeep, is the builder's plate on the dashboard. I would love to hear from anyone who knows more of the history of this 2A. See also an early Boyer, J118 in New Jersey. 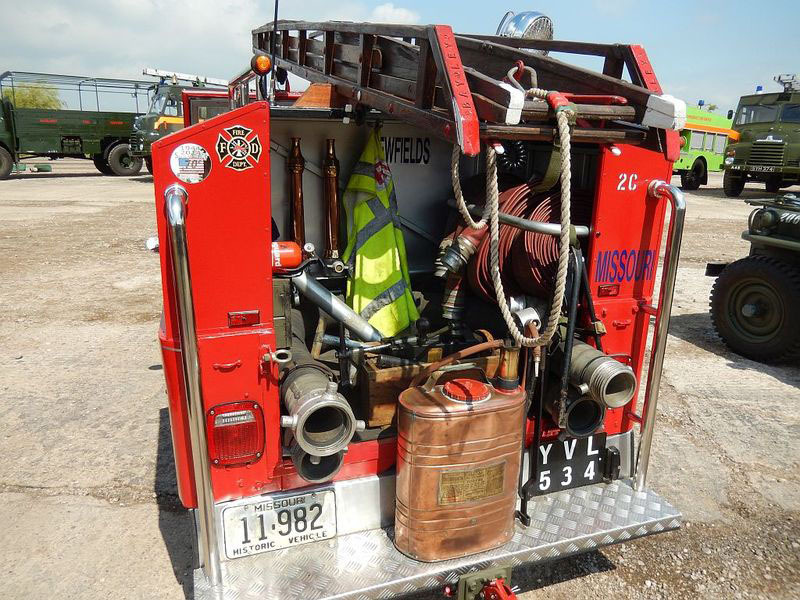 There are more CJ-2A detail photos in Boyer CJ-2A Fire Engine in Brazil.